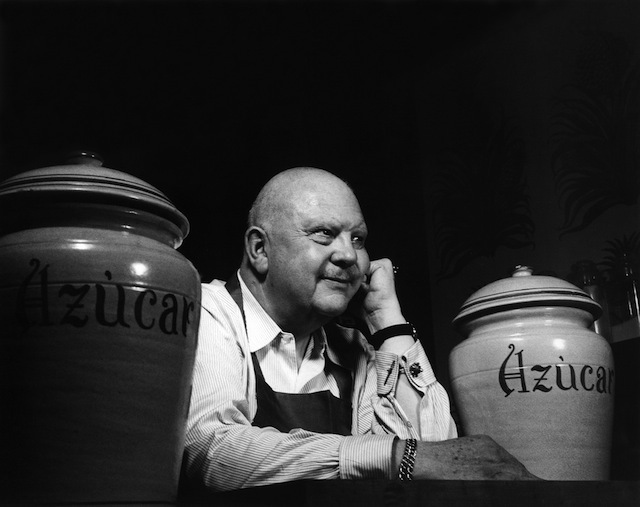 James Beard, nonchalantly leaning on the counter. Today, nearly 60 chefs from across the nation are gathered at Rockefeller Center, NYC "to celebrate family feasts" for the 26th annual Chef's Tribute: Taste of Home benefit event. The annual event attracts over 1,000 guests to the Center each year to tour booths set up on the closed ice rink and taste the amazing creations of some of America's most talented chefs. 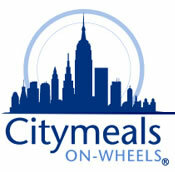 The proceeds from this illustrious event serve to benefit the Citymeals-on-Wheels, a program which delivers food to the elderly and homebound, cofounded by James Beard 1981. The first event, an al fresco collaboration of America's best and brightest chefs and winemakers, was held in June 1985, originally meant to celebrate James' 82nd birthday. As the event drew nearer and James slipped away, the decision was made to continue the celebration in his honor, "the gala salute to America’s harvest and American talent became our tribute to him," explains co-founder Gael Greene. "Secrets will be revealed as favorite family recipes are prepared in an unforgettable feast. Chefs including Daniel Boulud, Tom Colicchio, Ben Ford, Larry & Marc Forgione, Zarela Martinez & Aaron Sanchez, Charlie Palmer, Claude & Thomas Troisgros, Jean-Georges & Cedric Vongerichten , and Jonathan Waxman, will cook their at-home favorites as guests stroll the gardens and esplanades, feasting and dancing until midnight."